2011.10.10.radiorebelde.icrt.cu. Havana, Cuba. 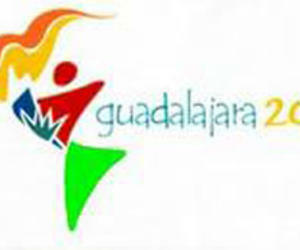 We are only ten days away from the opening of the Pan-American Games in Guadalajara, Mexico, next October 14. Several delegations have already been registered, like Venezuela, Guatemala and El Salvador. The forthcoming continental contest will admittedly be the hardest in history. What’s going on? The point is many nations have announced that they seek to achieve their best performance ever in the capital of the state of Jalisco. For instance, Mexico has categorically said so and so has Puerto Rico. On the other hand, Venezuelans, Guatemalans and Salvadorans are sending delegations with a record number of participants, seeking to attain better results than in all past games. their developing potential, seeking to improve their performance of 4 years ago. All the above-mentioned plainly indicates that each and every competition in Guadalajara will be much harder than any of the fifteen previous games. Nevertheless, the Cuban delegation may also surpass the total number of gold medals that it won in the previous contest and rank second again. The competitive level will indeed be very high, in the first place from the more powerful nations. United States, Cuba, Brazil, Mexico, Canada, Argentina, Venezuela and Colombia will bid mightily. However, the number of medals remains the same, so the evolution will be essentially qualitative. Not all the countries will be able to win more medals, although the Mexican organizers and the Pan-American Sports Organization, ODEPA, increased the number of sports. As a result, the number of titles will grow too. Cuba will not compete in 10 sports of the program. Therefore, it can only expect to step on the podium in approximately 75% of the competitions. However, we hope to achieve a more efficient participation and have the necessary strength to maintain the second position.